students worked on fine motor skills to draw triangles, and cut them out. 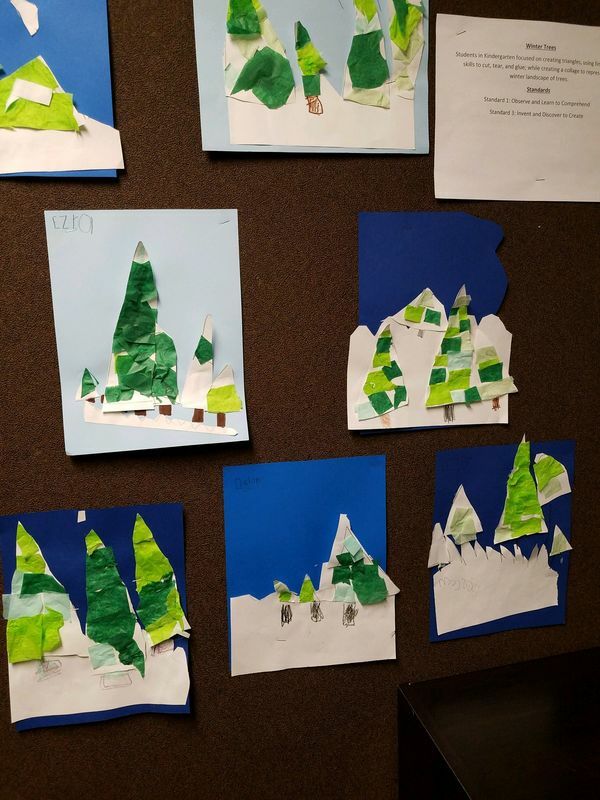 Students demonstrated proper use of materials with glue and paper creating a collage of colors for their trees in a winter background. 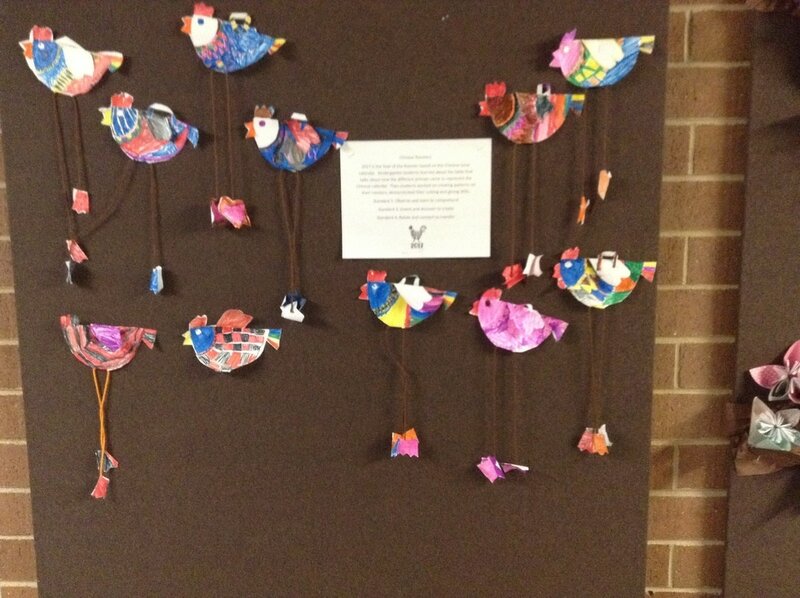 Classes discovered the Chinese culture and traditions. 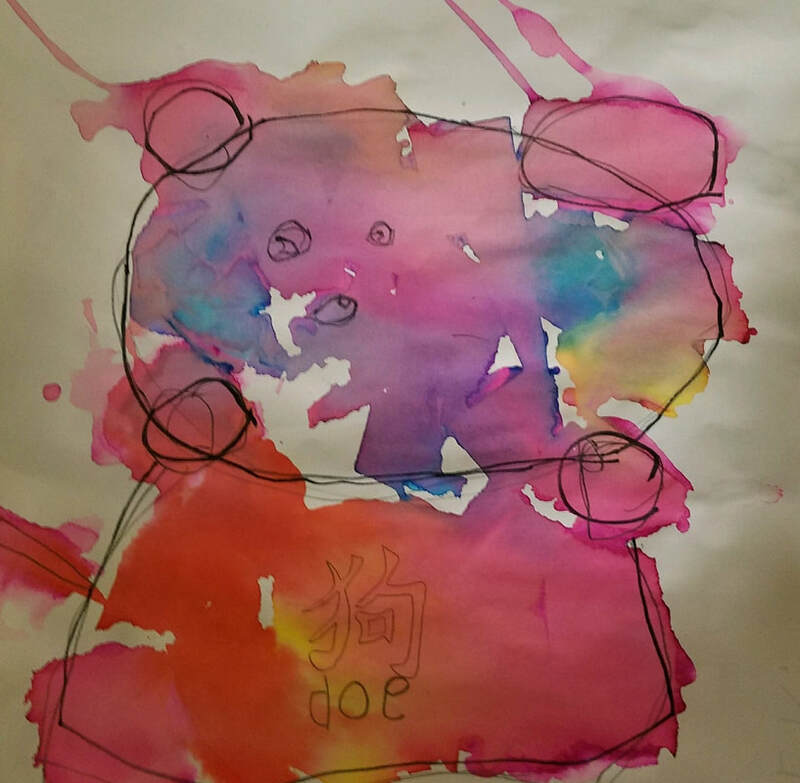 Then students conducted experiences with applying water to tissue paper to see what colors would spread on their paper to "paint" their dogs. We learned about an annual festival where elephants are decorated and there is a parade. 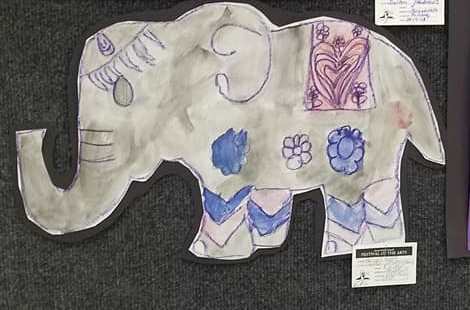 Students then created their own elephants using crayons and watercolor to create a resist. students also learned how to control paint by making gray using just a little bit of black paint with lots of water. We watched a short Art:21 interview with Korean artist Doh Ho Suh who described the feeling of missing his home, and wishing he could carry it on his back like a snail. 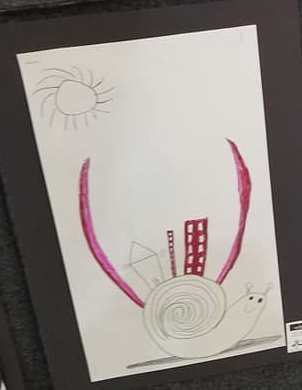 then students drew their own towns on top of snails. We discussed highlighting certain features using their favorite color. 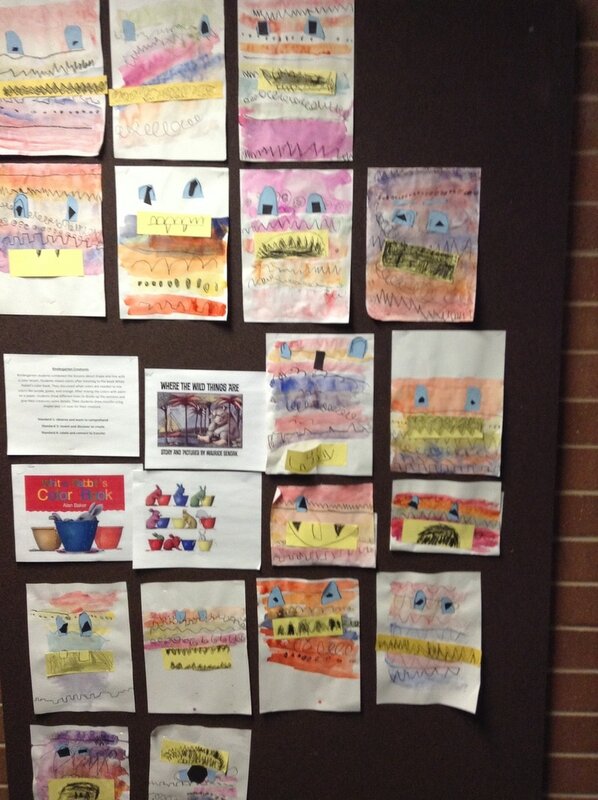 Students analyzed the shapes and colors they saw while looking at the image of Paul Klee's Castle and Sun. Students were inspired by the readings of Snowmen at Night, and the Biggest Snowman Ever. We discussed the different types of winter clothing their snowman would wear, and how big snowman might be and how we could measure it. Students then drew out snowmen and had to use math cubes to count how tall their snowmen were and write it on the math sentence. 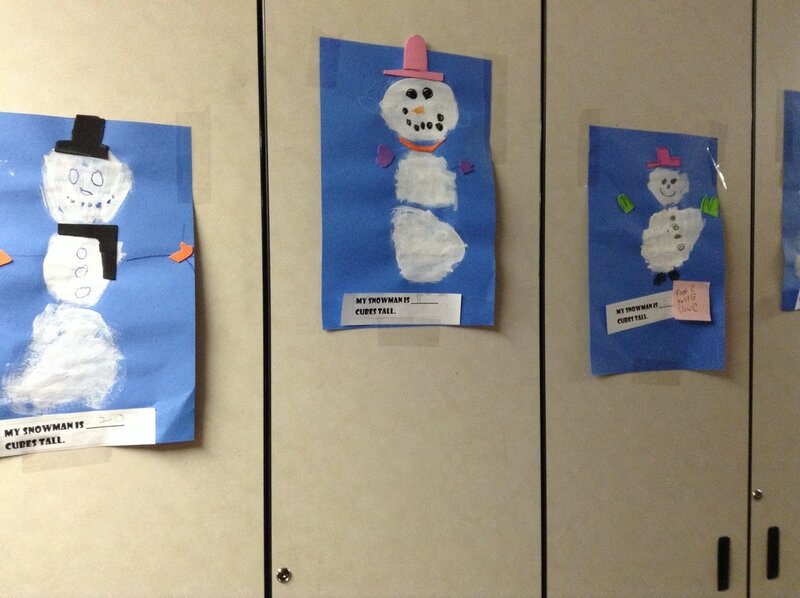 Lastly, they painted their snowmen and collage their winter attire. Happy New Year! 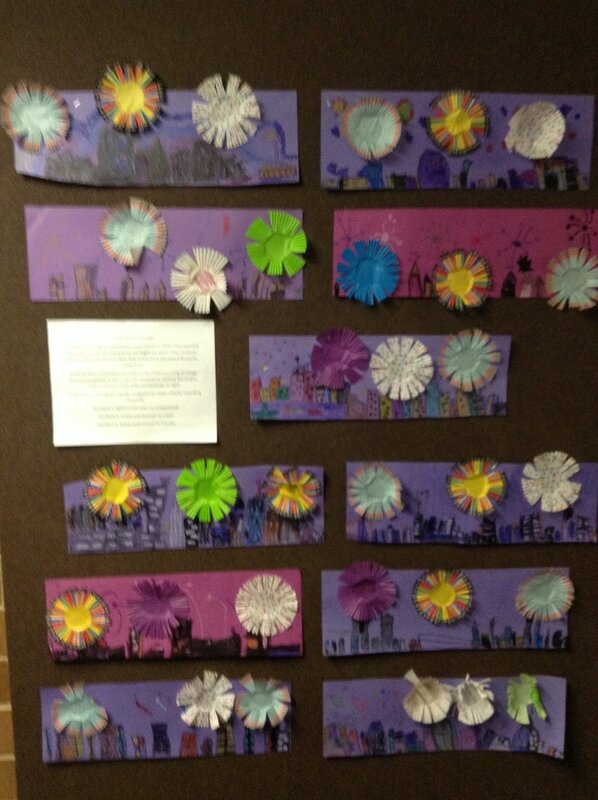 Students discussed when they they have seen fireworks and if there was a celebration. Then they related their experience to the use of fireworks celebrating the Chinese New Year. 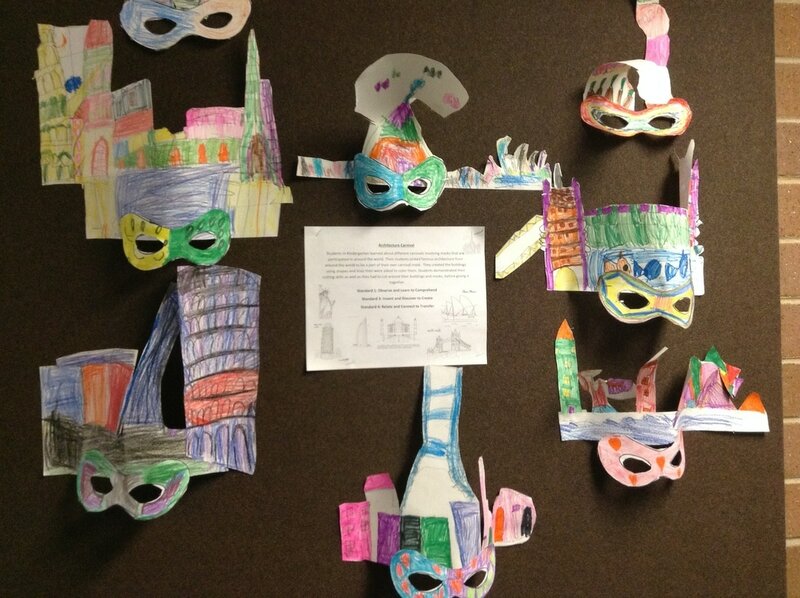 As a group we analyzed a photograph of the Denver city skyline at night to draw how buildings looked at night. Topping it with a little collage fireworks.